When people think about the best businessmen ever, a few famous names are likely to spring to mind - names like Bill Gates, Richard Branson, Henry Ford, Steve Jobs and many others. It is amazing what people can achieve with a simple idea and a lot of motivation, drive and desire. 1. Sakichi Toyoda is often known as the king of Japanese inventors. He came up with a lot of weaving devices but the most famous was an automatic power loom that cut off when a problem came up. This prevented goods from being damaged. He sold his invention for quite a lot of money to a British company, and with that money he helped his son to start up Toyota. 2. Walt Disney was responsible for bringing Mickey Mouse and his friends to our lives. Disney has evolved from humble beginnings like Plane Crazy and Steamboat Willie into the massive empire you see today. 3. Henry Luce was voted most brilliant in Yale. He and his friend Briton Hadden quit their jobs when they were 23, raised $86,000 and then published their first issue of Time magazine in 1923. Luce went on to launch Fortune magazine, Life magazine, House and Home and Sports Illustrated. 4. Sir Richard Branson needs no introduction. He owns the Virgin group and hundreds of companies from Virgin Vodka to Virgin Airways and Virgin Health Bank. 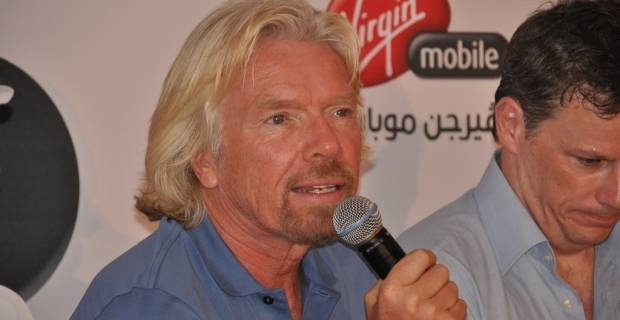 The Virgin empire started with Virgin Records, which Branson sold to keep his airline company going in 1992. 5. Mark Zuckerberg shows us how one simple idea can lead to something massive. He created Facebook from his dorm in Harvard, and the rest is history. Some of the best businessmen ever built empires from nothing. Some had plenty of money and support around them but others have achieved success from scratch, with little external support. If you have a good idea, and the drive and motivated to do something about it, you could be on the next list!